Today’s patrons have expectations when it comes to their web experience, no matter their age. It is safe to say that the majority of your patrons are on the web multiple times a day using a variety of devices - from smartphones to tablets to laptops. When it comes to your library website, meeting patron expectations is no longer a “nice-to-have” but is critical to the success of your library both online and in your community. Stacks meets the needs of both you and your library website. The first-ever content management system (CMS) of its kind, Stacks is built on user experience best practices so you will always feel confident that your library website looks great, is easy to use and exceeds the expectations of your patrons. Updating your library website or creating one from scratch no longer needs to be a scary, costly or time consuming undertaking. In this guide we will walk you through key components and tips that can help build a successful library website. Google is the world’s most used search engine, and one of the reasons lies in the effortlessness of the tool – a single search box front and center. This single search box placement has been adopted across all markets. Visit some of your favorite online retailers or travel sites and chances are you will see a similar search box front and center. The second expectation your patrons have is that whatever they type in that search box, will provide results that match exactly what they are looking for. When it comes to your library website, immediate visibility of your search box is one key component. The other key component? Implementing a discovery service like EBSCO Discovery Service ™, that will search your entire collection and provide the most relevant results to your patrons. When it comes to reading a website, patrons (like all of us) are scanners. Studies have shown that organizing content in an F-shape pattern is the optimal approach to take when laying out content for your website. This means that when visitors come to a website their eyes start at the top and scan across first, then move down and continue with a horizontal scan in the middle and finally scan down in a vertical movement. When it comes to optimizing your library website for “scannability,” think about the most important items and resources to your patrons and arrange in that F-shape pattern. The design for your website can be spot on, but without the right language your patrons can become lost and frustrated. When it comes to language on your library website, try to put yourself in the shoes of your patrons. “Library-Lingo” will not resonate with this audience. Clear, simple, action-oriented language is what your patrons are used to and what they expect when they come to your website. Your patrons are accessing the web using a variety of devices, from different locations throughout the day - on the bus, at home or in a coffee shop. Consider these two ideas when it comes to your library website and be everywhere your patrons are! Design your website with mobile devices first and then consider how it will be viewed on tablets, laptops and desktops. The speed at which your website loads will be dependent upon the connection your patrons are using. When a website is full of “heavy” design and media elements like sliders, it will take longer to load. Think about what information and resources are most important to users, and make sure they are part of the mobile design of your library’s website. Responsive design is the approach whereby a website dynamically responds to the user’s environment based on screen size, platform and orientation. More and more people are likely to spend money on a mobile device (eg. a smart phone) than a desktop or laptop computer. These devices may be the only way families access the internet because they are more intuitive and affordable. Managing a library website can be costly and time-consuming. Stacks is built on user experience best practices like those featured in this guide so you can easily respond to your patrons needs. As an administrator, you can quickly update and change your library website without it being a hassle. Rest assured knowing that updates, security; and maintenance are all handled by Stacks. 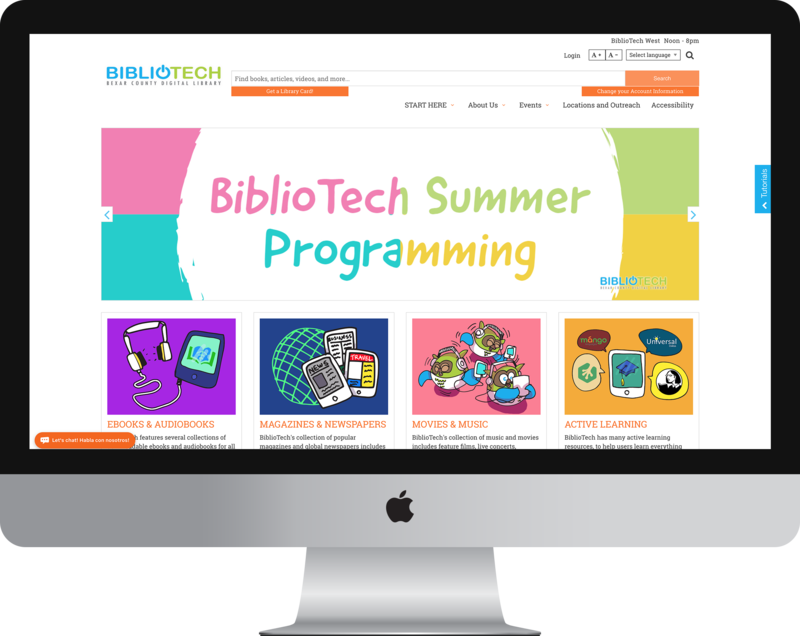 The first complete Content Management System (CMS) built specifically for libraries. 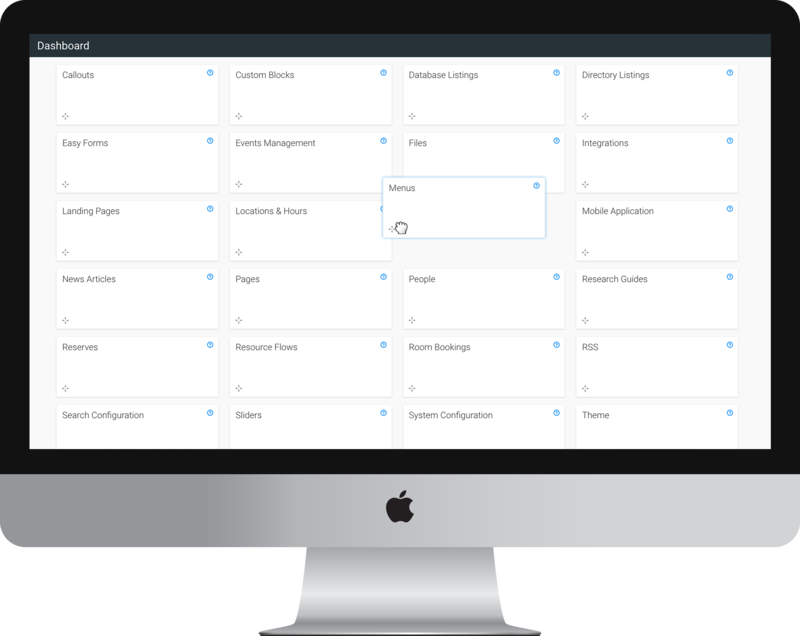 A customizable, card-style workspace where you have quick access to user-specific product features and direct links to help content that is specific to those features. Robust integrations help to create a tailored library experience.